Couples come to Las Vegas every day to get married, some just so they can claim they had a Vegas wedding, and they don’t come to this city to have a normal wedding. They usually want something more creative. Turnt Up Tours in Las Vegas has a few unique suggestions for places you can tie the knot in Vegas. Hop aboard a ship inside Treasure Island Hotel & Casino where you can say, “I do” with a pirate officiant. The boat is used to marry couples in Las Vegas, which was used for pirate shows for several years at the hotel. 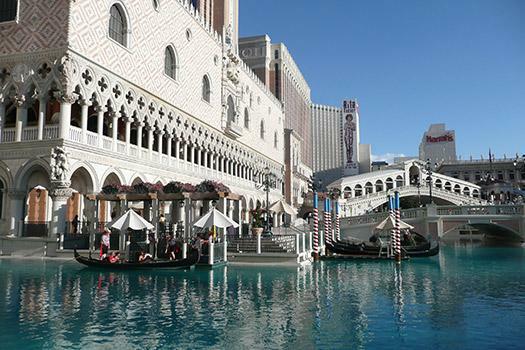 Visit the Venetian Hotel to ride in a romantic gondola where you can tie the knot in a ceremony that is on the water and resembles Venice. You’ll be surrounded by the stunning architecture of the hotel while floating through the Grand Canal Shoppes and into the Palazzo during the ceremony. You can feel like you’re in Italy and will enjoy a touch of romance with the white and gold decorations used on the gondolas. Thrill-seekers who want to exchange nuptials in an exciting location can get married while skydiving at 15,000 feet above the ground. You’ll get the chance to freefall up to 140 miles per hour while taking in the views of the Colorado River and the Hoover Dam. Couples who are pre-certified in scuba diving can get married underwater in the 117,000-gallon saltwater aquarium at Silverton Casino. You’ll have 4,000 colorful fish as your guests and can be surrounded by stingrays and sharks as you tie the knot. There will even be a few mermaids and a full safety team present, along with a few spectators from outside the tank. Book an unforgettable ride with Maverick Helicopters, which offers wedding packages for those who want to get married in a helicopter hundreds of feet in the air. You can say, “I do” while flying over the strip at night or with the stunning desert scenery in the background during the day. This intimate wedding location offers a high level of privacy but is still roomy enough to bring along three extra guests. Why not get married on a Las Vegas party bus? Bring your bride or groom-to-be on a pub crawl, and celebrate your holy matrimony at the most exciting clubs in Vegas. Book a tour with Turnt Up tours today and get married in style.  Call 702-843-0525 or book a tour on our website.